Hi readers and welcome to my first editorial type article. With the release of Patch 5.4’s trailer (see it here if you haven’t already), the debate on whether or not Blizzard is biased towards the Horde in content development has risen again. 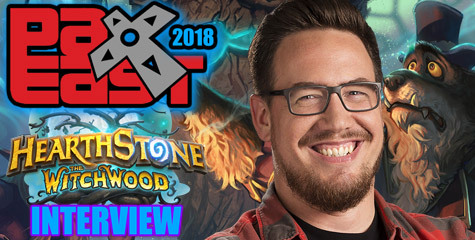 Its a subject that really came to a head with the release of Cataclysm, enough so that Blizzard actually had Dave Kosak make a blog post, “Dev Watercooler: Faction Favoritism“. It was very negatively received, and in fact was seen by many as further proof there was faction bias favoring the Horde enough to be detrimental to the Alliance among Blizzard’s developers. So, does this faction favoritism really exist? Is Blizzard ignoring half their playerbase because they can’t muster the effort to to create content for a faction they don’t like? Or is this all overblown outcry from WoW’s notoriously unpleaseable fanbase? My personal opinion on the matter is… yes and no. I do believe there is some bias in Blizzard’s developers that has created a disparity over content for Alliance players and Horde players, but I don’t think its malicious, or as overblown and prevalent as people like to say. In fact, I think some of it is due simply to the developers misunderstanding what players want out of the game. Let’s start out with actual instances of Blizzard ignoring/creating less and/or substandard content for Alliance players compared to the Horde. These complaints gained notoriety in Cataclysm, specifically for its revamp of 1-60 content. There are numerable grievances here, between the the leveling zone distribution, to the visual design of Alliance/Horde settlements, the differing storylines for each faction, even how their races are represented. For now I’ll focus on the first four, and leave races for a later article. Now in the new versions of the Eastern Kingdoms, we see the Horde making large gains against the Alliance nearly every time a battle between the two factions is depicted. Western Plaguelands, Swamp of Sorrows (the Alliance fails to stop Stonard in any way, the Horde quests even say they were defeated), Ashenvale, Gilneas, Southern Barrens, Stonetalon Mountains and so on. Before anyone starts thinking this, having the Alliance on the losing side is not the problem at all. Losing is a good thing when presented correctly, no one I know critiques how the Alliance is basically destroyed in Warcraft III, because it is shown in a compelling way. In these zones, we have the Alliance after their defeat essentially say “We lost, oh well. Go to the next zone before we all get killed by the Horde”. That’s not fun, its depressing and demotivating. Even when some of those zones, Ashenvale, Gilneas and Stonetalon in particular, are later shown to be Alliance victories after all but only to Horde players. A person playing a worgen will never know they did take back Gilneas without rolling a Horde alt. …There would have been a video here, but for some reason it’s been taken down from youtube and I cannot find another upload of it. Anyway there were voice files in the game depicting an Alliance intro quest similar to the Horde’s, Varian appears, the player arrives on the Alliance’s naval fleet, there’s a battle with the Horde (seen in the Horde’s intro), and it was quietly scrapped for the “fade to black one”. On that note, the Horde zones are filled with conquest after conquest, plenty of appearances by faction leaders like Garrosh, Sylvannas and Vol’jin. Alliance faction leaders are almost entirely absent from questing, Varian never does anything in the expansion except hand out the introductory quest the Twilight Highlands and Tyrande appears solely as Malfurion’s plus-one at Thrall’s wedding (technically she appears in 4.3 as well, but those are past and future versions of herself who don’t interact with the story in any meaningful way). Speaking of Thrall, he is another problem oft-cited about Cataclysm. Unlike other neutral characters, Thrall makes no effort to distinguish himself from the Horde, which lead to many complaints at the time that Alliance players were working for the Horde. Blizzard did rectify this in MoP, by making Thrall only appear in Horde quests, though. Now onto Mists of Pandaria. From launch to patch 5.2, there really wasn’t any faction favoritism. Blizzard had fixed most of the above issues in Pandaria. Horde and Alliance leaders had plenty of screentime, Theramore’s destruction proved to be the good kind of losing, the compelling story kind, both sides felt powerful and had their victories and losses, and of course there was Dalaran. Dalaran had a neutral faction actually agree with the Alliance for once that the Horde was causing more trouble than good (looking at you Cenarion Circle and Malfurion, who is technically supposed to be part of the Alliance first), and even rejoin the Alliance. 5.2 continued the story, further emphasizing the Kirin Tor are now part of the Alliance and again provided some pride to players and reinforced that they picked a faction which exists as more than just a foil to the Horde. Of course Dalaran had its flaws, Alliance players are made to feel bad about their victory, with Varian even scolding them for it, but its still a very good step in the right direction. Then came patch 5.3. This patch was meant to be the lead-in for Siege of Orgrimmar, where the factions would prepare for their assault. The Horde did, the Alliance… not really. Horde players were given an exciting questline full of appearances by major characters, voice acted cutscenes furthering the story and the feeling that they were part of a might effort to take down Hellscream, complete with epic battles leading to the recapture of Razor Hill. The Alliance questline has players meet up with two spies, control a robot cat, then get sent to help the Horde’s rebellion where your character is nearly killed by the rebels you’re supposed to be siding with. There’s no voice acting, no involvement from Alliance leaders, and all the story and events that went down in Durotar have already happened with you arriving late, which come to think of it is eerily similar to the Twilight Highlands intro. Another problem that has arisen in MoP is the idea of victory portrayal. Often Alliance fans have asked if the Alliance could at least have some of their victories shown in game, as the Horde already does. This has always been met with a response of they don’t have the resources to do this, especially because it does not also benefit the Horde. Yet they are able to show the Horde’s victories over Theramore, and Lordaeron and devote resources to a destroyed version of Stormwind Harbor to be used only as a vision in the Siege of Orgrimmar raid. @wheelmandan Varian learned from Theramore. Since then, he always sends SI:7 (and players) in first to scout ahead. That happened in 5.3. @Leviathonlx @wheelmandan He did the same thing in 5.0: Sent the players and SI:7 to Pandaria first to assess. He learned not to charge in. There is merit to both sides, it does have a bit of bad development excuse ring to it, but Kosak’s answer makes a lot of sense. There’s just the issue that in the Jade Forest the Alliance sends a small army to “scout ahead”. Why they couldn’t at least show changes to Stormwind then, such as the soldiers preparing for war and amassing a fleet has not been addressed nor asked. That does lean more towards just old bias. This brings me to my ultimate conclusion on the faction favoritism subject, a lot of it is due to misunderstanding between the players and the developers. What Dave Kosak is providing as a reason makes sense, its just portrayed poorly. 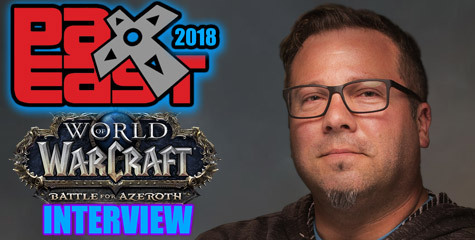 For example he said that what Blizzard took away from 5.3’s complaints was not that the Alliance felt under-represented and ignored, but that players don’t enjoy espionage quests. The same situation comes in this conversation, Blizzard believes they are doing something that is understandable (the Alliance is being reserved and tactical) but are portraying it in a way that doesn’t work for players, and the developers don’t understand that. A similar case is the Siege of Orgrimmar itself. Alliance players have been complaining about how it’s a Horde story and they feel ignored and tacked on, Blizzard’s response has always been “you guys are laying siege to the Horde’s capital and killing their Warchief, what more could you want?” which does make sense. The problem, that they fail to see, is that its presented in game not as the Alliance getting a victory against the Horde, but as the Horde overthrowing their corrupt leader and restoring glory to their faction, oh, and the Alliance can help too. Varian and Jaina never get to confront Garrosh, the later parts of the raid appear tailored around the idea its the rebels doing most of the work (Saurfang calling the raiders “more of Vol’jin’s revolutionaries” comes to mind) while the Alliance seems to stay and hold position at the gates. The developers don’t see these issues because they know what they’re trying to portray, which doesn’t sound too biased at all. That, I think, is why they seem unaware of when they produce content that slants towards the Horde and ignores Alliance players, its not intentional but somewhat of a misunderstanding. 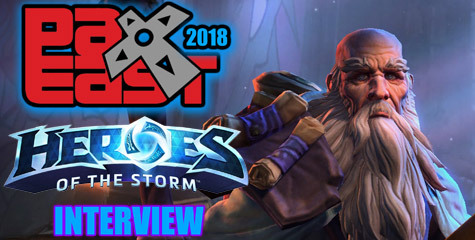 So in conclusion, I think yes, there is some faction favoritism among Blizzard’s developers that has negatively affected how they handle Alliance content, but I don’t think its as bad as some people proclaim, and I think a lot of it has to do with the developers and players never being on the same wavelength. I’m not 100% sure how to fix that, as feedback from players is so often misinterpreted. Perhaps it can be solved if there is more honest communication with fans, less political type answers as seen in our recent interview with Cory Stockton (though I think that might have been him just misinterpreting the question). Perhaps the answers may make people upset, but that’s better than not acknowledging a problem, and with that increased communication and more straightforward answers we could hopefully see less confusion on the part of the developers over fan feedback. The cries of faction favoritism on either side were far less during the days of vanilla through Wrath of the Lich King, so we know it is possible to reach a balance where such claims are no longer the dominant piece of discussion in the community. I hope that anyone, Blizzard employee and fan alike, who read this editorial will think a bit more on this faction bias debate from both sides. It is only through understanding can we make World of Warcraft’s story, and thus the game itself, better.